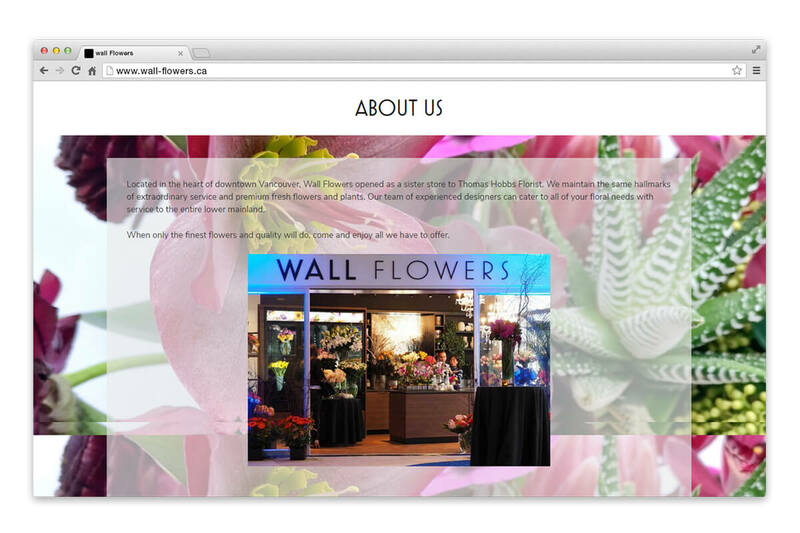 Wall Flowers | NetClimber Web Design Inc.
Our client, Thomas Hobbs Florist, came to us with a Shopify website already in development. They had a very specific design concept they wanted to use and we customized a Shopify website design to meet their requirements. 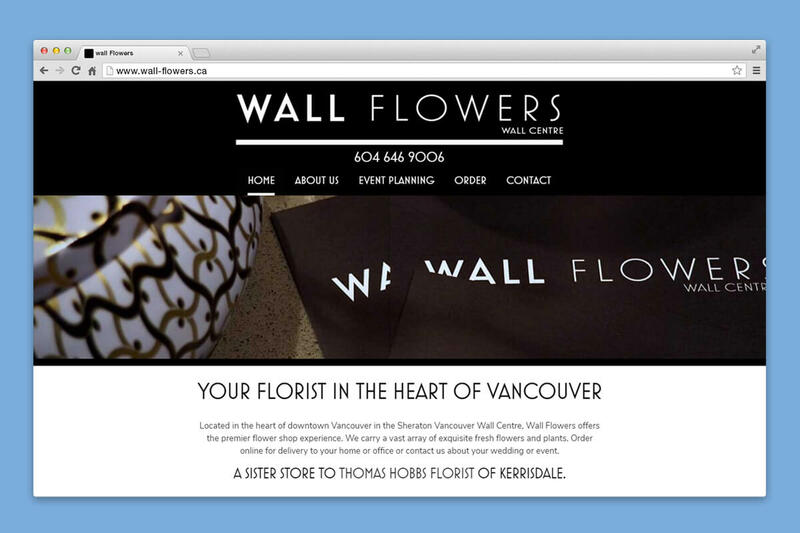 Next, their sister store, Wall Flowers, located in the Sheraton Vancouver Wall Centre needed a website. 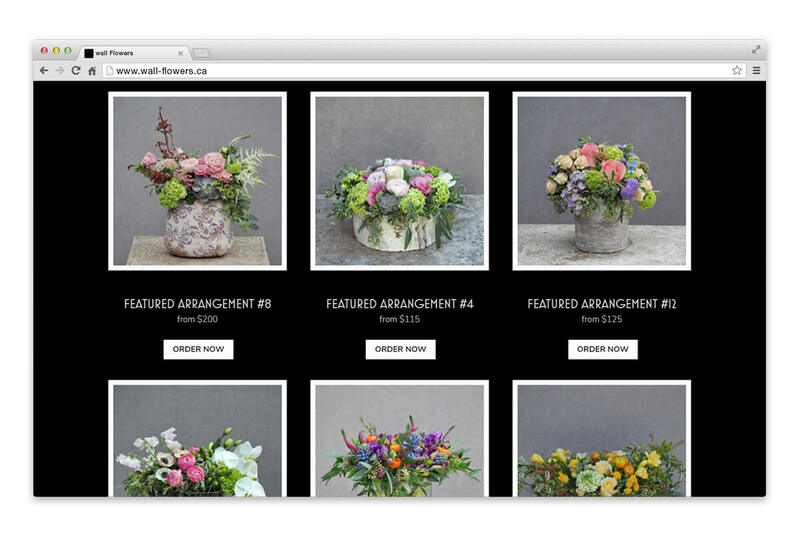 Here we branded a simple custom theme and enabled a catalog area to showcase their beautiful floral arrangements. All ordering was linked to the main online store through Thomas Hobbs.